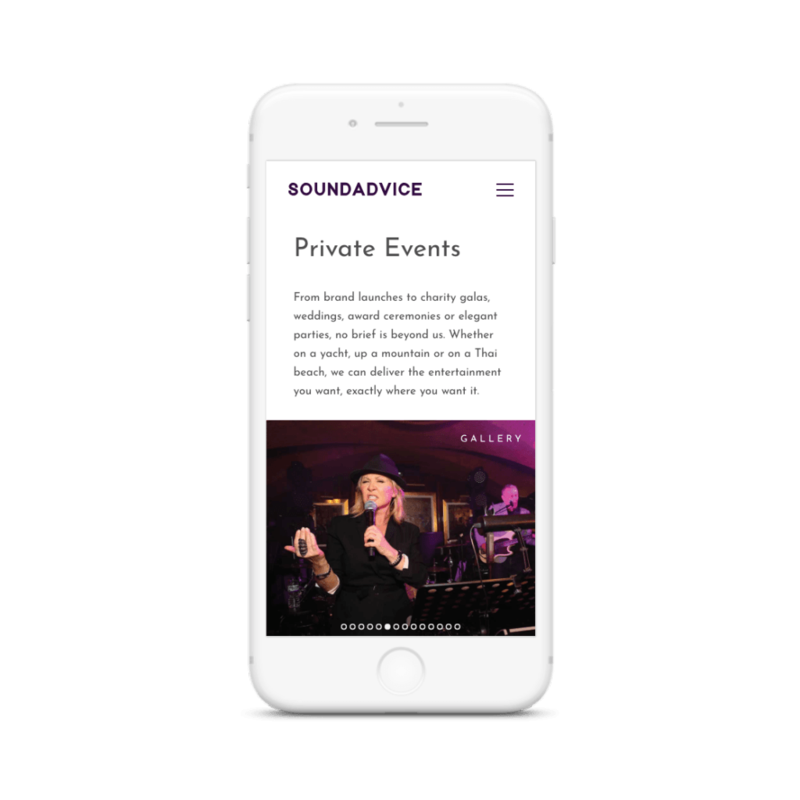 Sound Advice are independent live music producers – finders, bookers, and even creators of the most exclusive entertainment. They deliver major artists, great party bands, comedians, DJs of every conceivable style of entertainment, sourcing the best live performers available, through unrivalled connections in the entertainment business. The music production company approached Foundry Digital looking for a website to present their company personality along with their unique service offering. Highlighting brand identity was the underlying aim of this project and it was key that the web design reflected the Sound Advice character. Similarly, the team wanted to ensure that their services were easy to locate through the user journey. 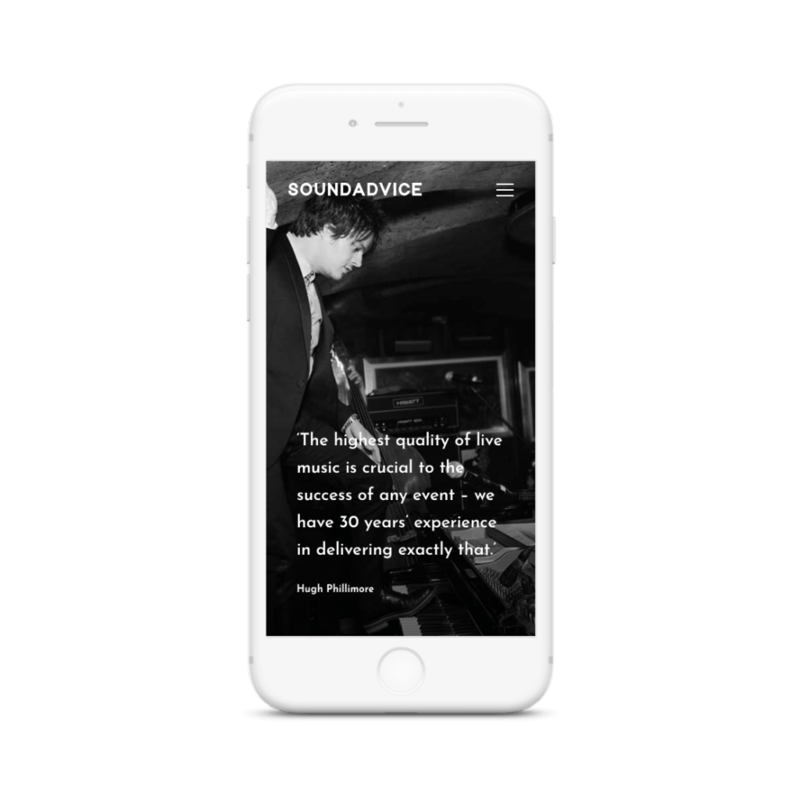 Foundry Digital’s web design team took the time to grasp what was so distinctive about Sound Advice’s brand, in order to create a unique visual identity that accurately reflected it. Bold colours and patterns were combined to give the website a vibrant feel. Having created a well-fitting brand identity, our designers worked to create a user journey that made it easy for website visitors to learn about the services that Sound Advice offer. As well as this, Foundry Digital’s extensive experience in UX and UI came into play and the functionality of Sound Advice’s web design was backed by this. The result of our web designers’ skill is an energetic, personality-filled website. The functionality improves the user-journey and puts website visitors’ experience at the heart of the website. The website is laid out in a way that makes it easy to use, whilst perfectly balancing with the strong sense of brand identity.